Adopting an intranet name can help build an identity, even give the intranet a personality, removing that ‘edge’ that makes it seem like it’s come from down in the IT department. I think we can all agree that having a catchy and memorable intranet name can help you promote your intranet and get users on board. Without a branded intranet name, employees will call it anything they like so give your employees a common vocabulary. 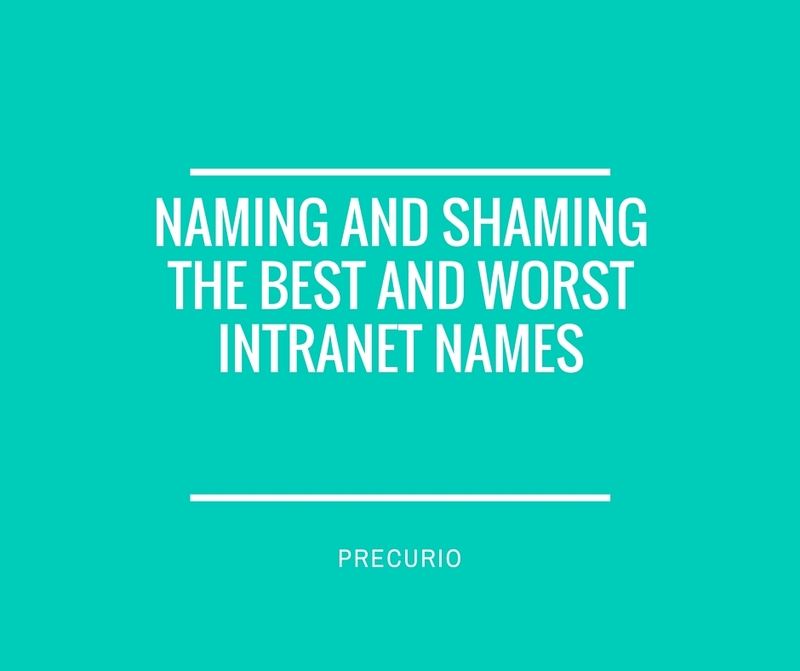 Let’s have it then, what are the world’s best and worst intranet names? Read on…. Anybody that names their intranet after the CEO or even the IT manager is lacking in the creativity department. Intranet names like Dave, Alexander or Mike can be catchy but ONLY, and we mean only, if they have some other significance to the organisational culture. So, for example, Dave could be a shortened version or the acronym of the company name. It can’t just be your CEO’s name posing as interesting. Again, you need to keep the name catchy and tied to the organisational culture. A bank naming its intranet Lilypad is completely counter culture. Lilypad is not necessarily a bad name but it might fit a less formal, less profit-driven charity, for example. A bank’s identity will fit a name more like “The Vault” or “Max”. Wow, way to be original. I guess what it does have going for it is that people know exactly what you’re talking about before you’ve even said it but please… do try to be a little bit creative. Okay, we get it, you love Star Wars and the name seems appropriate because he is all-knowing etc etc. But a name that is a mouthful is unlikely to have a great adoption rate. Consider how long it takes your users to say it, “I saved that file in our obi-wan-kin-obi team file”. Apart from other things, it also needs to be meaningful to most of the staff, not just the IT department! Keep the name short and catchy. Make sure the name is not confusing. If ‘People- Connect’ makes staff think only of the staff directory, then it is probably not the right name for an intranet with a much broader purpose. It may sound intuitive but people may not always be thinking of all the different interpretations when they decide on a name. Something that is funny and catchy may appeal but it only takes one person to take offence and then all the branding and promoting you’ve been doing will have been wasted. Test it out beforehand and always remember, when looking at a word or phrase, consider all connotations and ensure no offence can be taken. Do adopt a simple logo that doesn’t involve loads of animations. Do choose a name that can grow with your company’s future growth and technology. Let us know what is you decide and we can help you personalise and customise your site when you go with Precurio.